The literacy rate is 99%, higher than almost every other nation, and college enrollment across Cuba's 47 universities is at a steady 400,000 students, according to Alan Saidi, senior vice president and chief operating officer at Academic Credentials Evaluation Institute Inc. And according to the United Nations Educational, Scientific and Cultural Organization's Global Education Digest, as of 2009, an estimated 22% of Cuban adults hold or are pursuing a higher education degree in a technical field. Tummino was referring to El Paquete Semanal (The Weekly Package), which is a 1TB download of Internet content distributed throughout the country on flash drives each week for the equivalent of $2 each. It includes everything from new smartphone applications to TV shows. Users can download as much content as they want, and it's common for customers to download the entire package every week. That operation is run by Elio Hector Lopez, one of a group of tech-savvy twentysomething professionals helping to bring Cuba into the 21st century. Others include Luis Mazorra, currently living in Spain and founder of CiberCuba, a news aggregation site; Robin Pedraja, a Cuban resident and founder of Vistar Magazine, an arts and entertainment publication; and Hiram Centelles, currently living in Spain, who operates Revolico, which functions similarly to Craigslist. Four of the young tech pioneers who are helping to bring Cuba into the 21st century, pictured at a technology conference in Spain. From left to right: Robin Pedraja, Luis Mazorra, Hiram Centelles and Elio Hector Lopez. While the communist nation does have many hurdles to overcome regarding technology and communication, Freyre says that by following in the footsteps of similar countries — Vietnam, Chile and China — the Cuban government will evolve to accommodate the increased demands of today's business. The following month, the government installed the first of 65 broadband hotspots, mostly in Havana. These hotspots have made it possible for Cubans to use videoconferencing to speak with relatives long-distance, and send and receive assignments from remote employers. 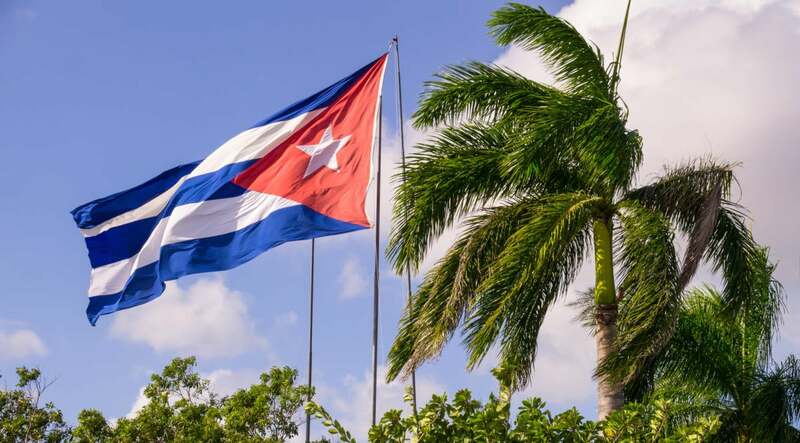 As Cuba opens up, global companies -- especially technology and tourism leaders -- have taken note of the country as a potential source of human resources and as a new consumer market that is largely untapped. Airbnb, for example, opened up its listings to a global audience, and Stripe Atlas announced in mid-March that it would enter the country to provide its "business-in-a-box" service to allow entrepreneurs to incorporate, receive payments and open U.S. bank accounts. According to Mazorra, the Cuban technology sector is ripe for joining the global freelance economy. Millennial Cubans are anxiously awaiting the Internet not only to satiate their curiosity, he says, but also to improve their quality of life and expand their professional potential. "With thousands of computer science graduates and more enrolling every year, along with a very creative ecosystem of designers, photographers and video-makers," Mazorra says, "we anticipate that freelancing will have a boom in Cuba once the technology to pay and communicate is in place." Rebecca Gatesman is a freelance writer in Boston, covering technology, finance and marketing.